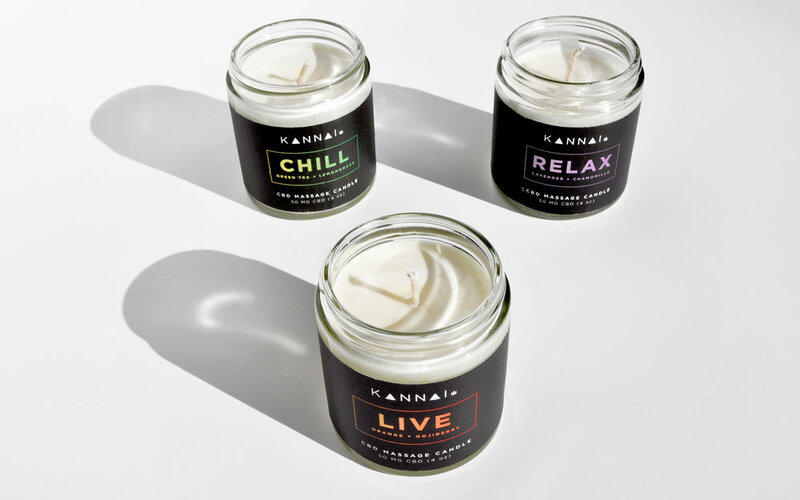 Brewing Creativity created the branding identity for Kannai's collection of CBD Massage Candles. The name was inspired by a witty way of asking "Can I" - hence "Kannai Relax?" "Kannai Chill" "Kannai Live" - "of course you can". Founded by LGBTQ women in San Diego, we wanted to use colors from the rainbow and matching the scent with still a classic feel to the packaging. 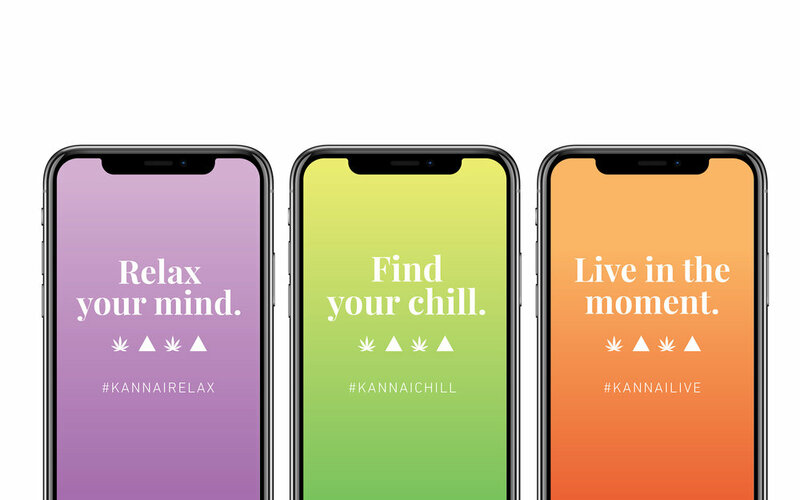 The logo features triangles & hemp leaves to connect the identity with the brand's mission - an elevated cannabis experience. 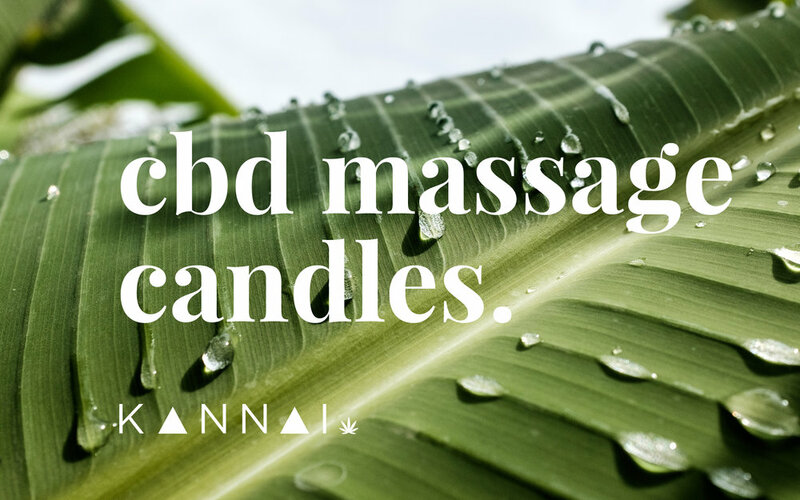 The candles can be used as regular candles, or you can use the melted oil as CBD massage oil. The collection features 3 scents, Relax "Lavender & Chamomile", Chill "Green Tea & Lemongrass", Live "Orange & Goijiberry" with colors reminiscent of that mood. Each scent meant for a specific mood, find your chill, relax your mind and live in the moment.